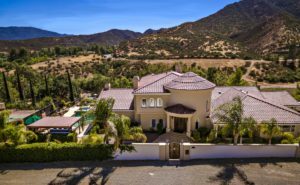 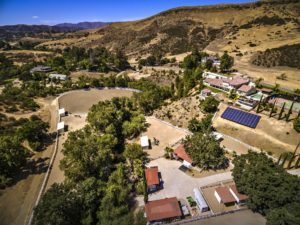 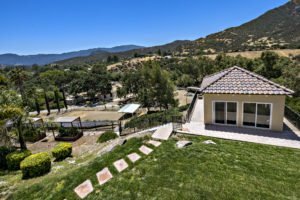 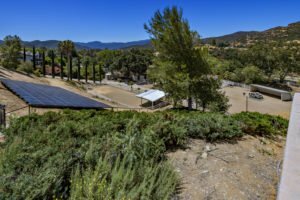 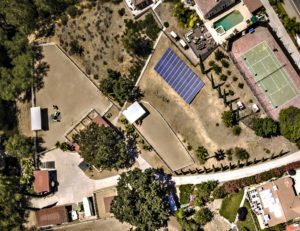 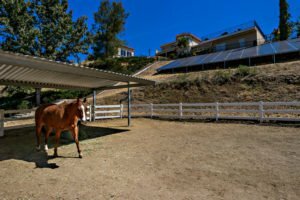 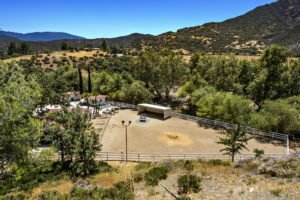 This truly one of a kind Ranch Estate property boasts panoramic sunset/sunrise views and is perfectly positioned on almost 6 usable acres. 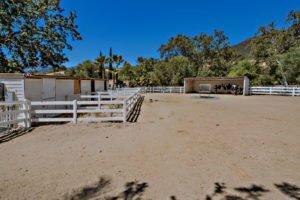 It is as much of a true ranch as it is an entertainers paradise. 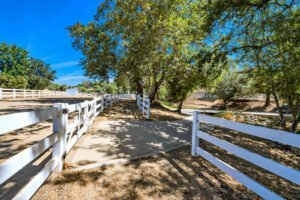 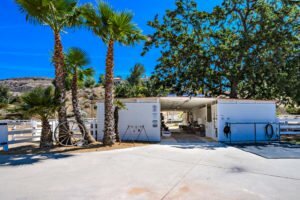 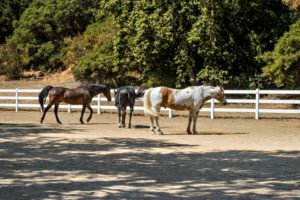 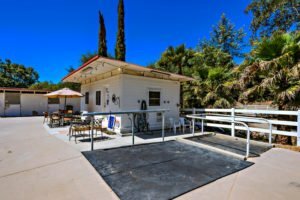 The setting is a perfect blend of city meets country, within close proximity to Malibu, Paramount Ranch, amenities, restaurants, shopping, blue ribbon schools, local wineries, and other popular attractions. 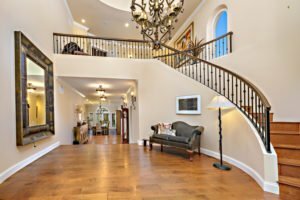 The over 7,200 square foot 6 bedroom, 6 bathroom was constructed with the majority of living spaces located on the main level. 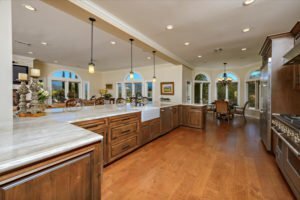 The estate personifies casual elegance with its wood floors, high ceilings, open spaces and French doors from almost every room capturing the stunning views. 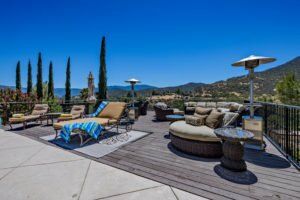 The entire second story is a luxurious private master retreat with sitting areas and private balcony to enjoy the views. 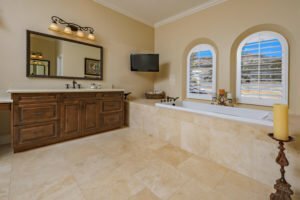 The master closet is almost 300 sq ft with a center island. 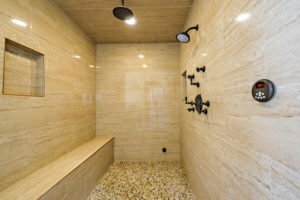 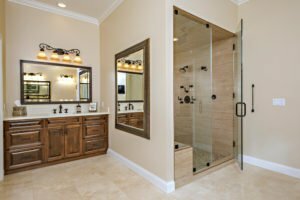 The master bathroom features a spa-like tub and large scale steam shower room. 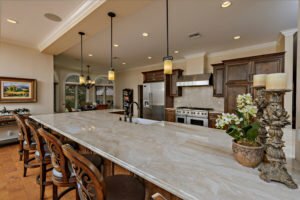 A true chef’s kitchen is found on the main level with an approximately 16 ft. long marble kitchen island, opening to a comfortably large scale family room with stacked stone fireplace, incredible bar with French doors opening to the resort like salt-water pool, spa and tennis court beyond. 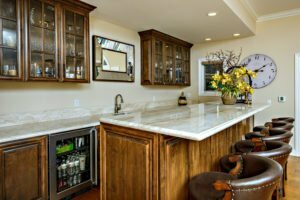 There is also a walk in pantry with wine refrigerator. 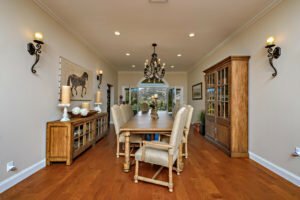 The salon style living room is perfect for intimate gatherings. 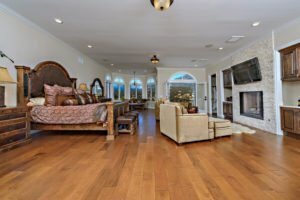 The second private family room is perfect for a screening room /recording studio, huge office setting or simply another large bedroom. 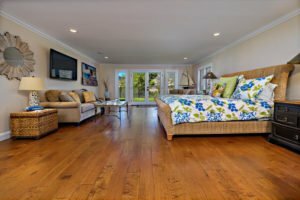 A second large master is found on the main level. 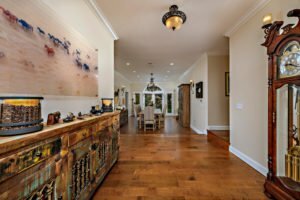 All bedrooms are large in scale. 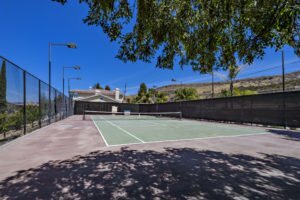 Outdoor living areas also feature a covered lanai outdoor kitchen with granite slab bar/counter seating, bbq and tennis court with lights as well as a separate gazebo gym with walls of glass and private balcony to relax and enjoy the stunning views. 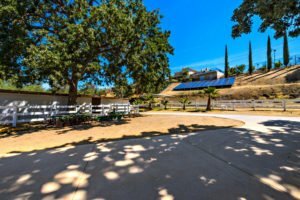 The ranch is also powered by recently installed solar-panels as well as eco-friendly interior and grounds lighting. 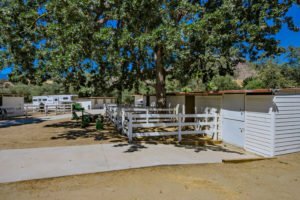 Mature trees, orchards and gardens are found throughout the park-like setting. 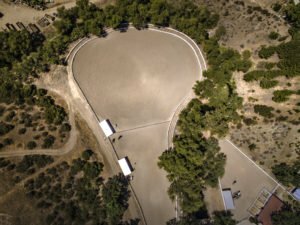 The equestrian facility are separate from the estate and with its own entrance. 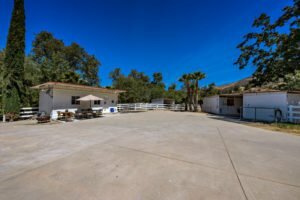 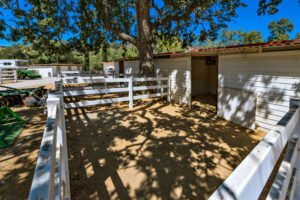 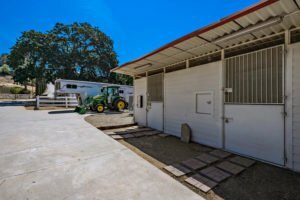 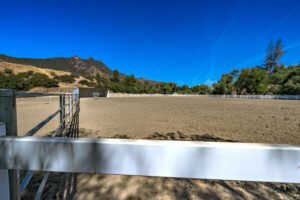 It is one of the best horse properties in the area with multiple horse barns, 13 stalls, turnouts, pasture and room for a 250ft+ arena. 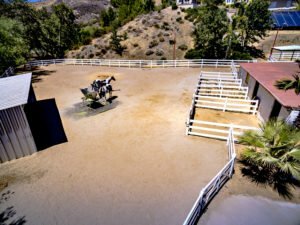 With riding from the grounds this property absolutely offers it all.